Clipping at its root is distortion. It occurs when an amplifier is overdriven and attempts to deliver an output voltage or current beyond its capability. Like the guy at the gym trying to squat 10 plates. It is important in car audio to avoid because we want to have all of our components in the signal path optimized to prevent the onset of distortion. Clipping has disastrous consequences for our speakers. Amplifier clipping comes into play into two places in our audio system, our speaker level amplifier and our pre-amp level amplifier. 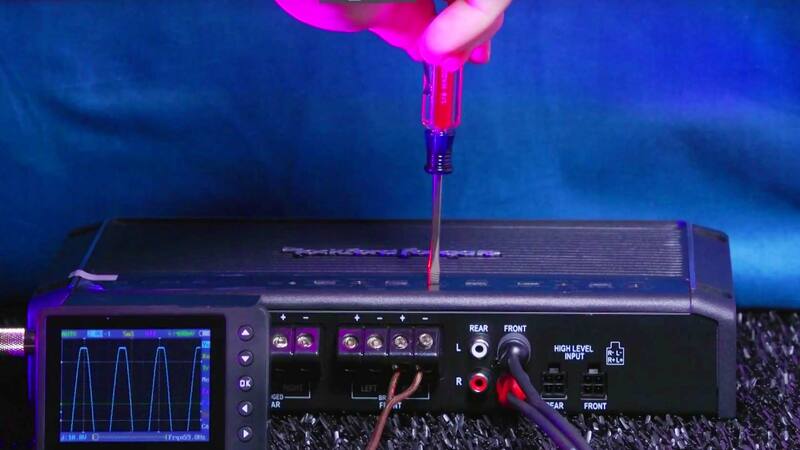 This is hugely important when we set the gains of our amplifier. We want to match the maximum output of the pre-amp level to the maximum speaker output of the amplifier. This ensures the best audio quality from both the radio and the amplifier. What does clipping look like? Audio signal are a series of waves, these waves have perfectly formed tops and bottoms. Clipping causes the wave to no longer have a perfectly formed top or bottom. To show you what this looks like we will use a 30 Hertz test tone recorded at 0db and connect an oscilloscope to the speaker output of our radio. 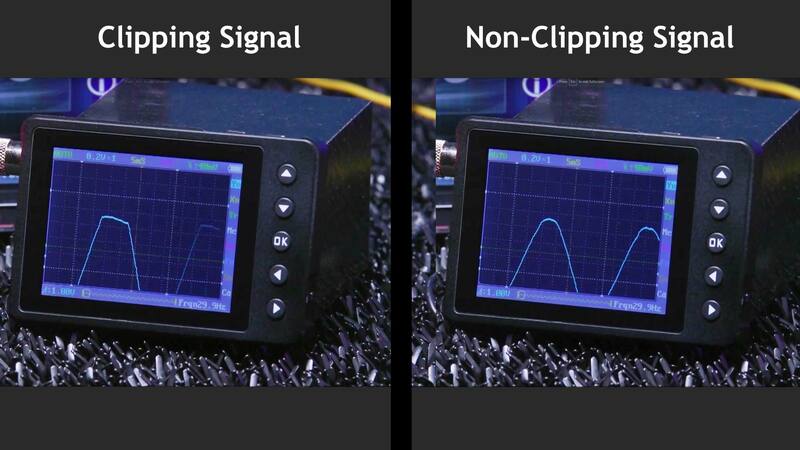 To see clipping we need to increase the volume to exceed the output capabilities of the amplifier by raising the volume. Here we have a nice clean top with a descending arc, and now you will the top of the wave get cut and that is amplifier clipping or better known as distortion. 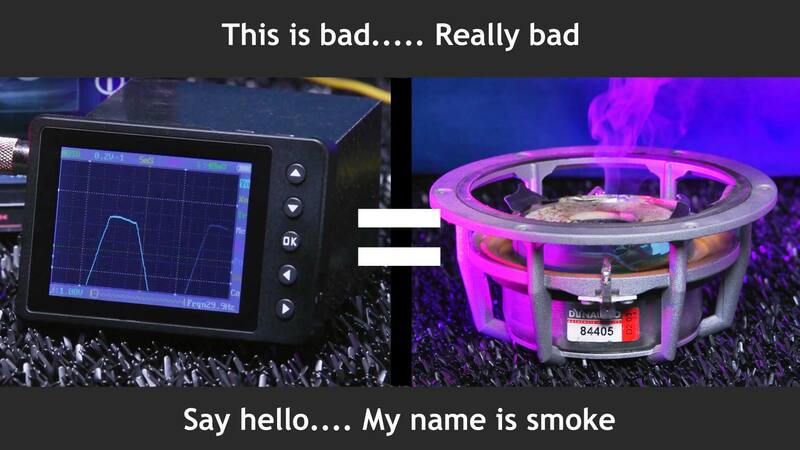 The byproduct of distortion is heat and that has lovely effects on our speaker voicecoils. Are some radios better than others? 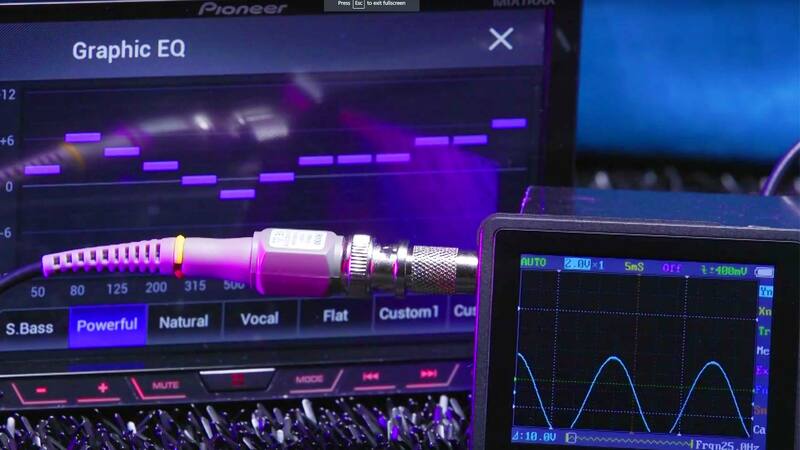 We’ll take it a step further, depending on the quality of the radio or amplifier you may have clipping at different frequencies, a 1 kHz test tone may play fine, but a 30 Hz test tone will clip at the same volume level. Add in the fact that some radios have EQ’s and that creates additional issues. To demonstrate this we’ll show a couple of examples utilizing the AVH-4200NEX double DIN radio. Make sure to check out our review here. We’ll start with setting the EQ to powerful and take some measurements. We begin our test with the internal pre-amplifier and test using a 30 Hz, 60 Hz, and a 100 Hz test tone to see if our radio can maintain the same volume setting on all three test tones. We have gone ahead and hooked up our oscilloscope to the front RCA output leads and begin playing our 30 Hz test tone. Based on that test you can see that the internal pre-amplifier is pretty clean until the last 10% of the volume range. Mind you we took this test with only a single RCA connected with a very short lead. 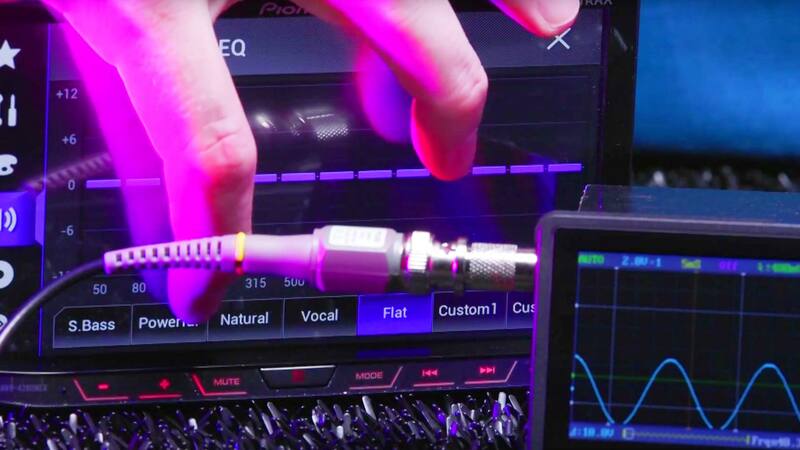 Now we’ll show you the how changing the EQ curve has a direct effect on pre-amplifier clipping. We set the EQ to flat and begin all of our measurements. 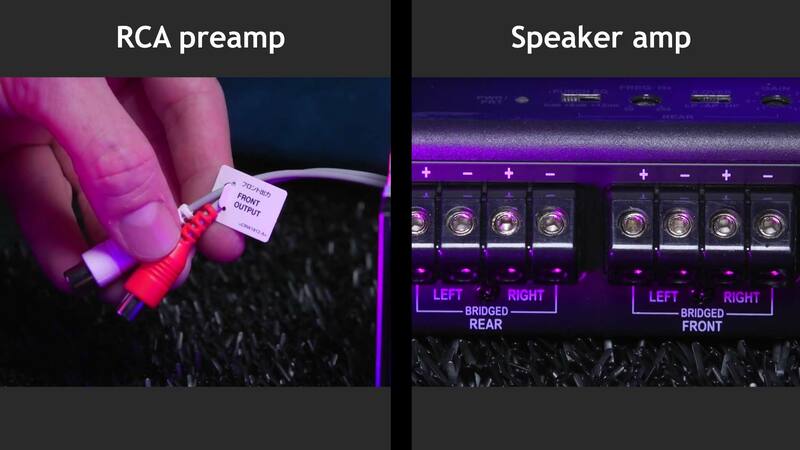 Here in our examples you can actually hear when the amplifier clips, it make an almost rattling or slapping sound. How do I use this to set gain? To set gain we set the radio to volume 38, this is the maximum clean output of the radio. Volume 38 will also be the volume level that we would never exceed when playing music. Next we connect the RCA’s to the amplifier and turn the amp gain all the way down. We connect the oscilloscope to the speaker outputs of the amp and increase the gain until our wave begins to clip. Our gain is perfectly set! Here we set the gain without clipping the output signal. 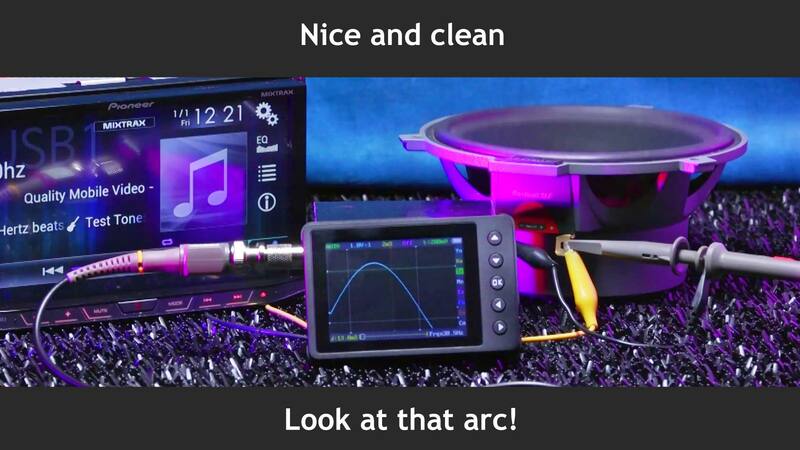 In this video we used an inexpensive $89 oscilloscope the DSO Nano, if you are into car audio and electronics this is a must have. Click in the description below for more info and where to get one. That’s it on what is clipping and how to set your gains. 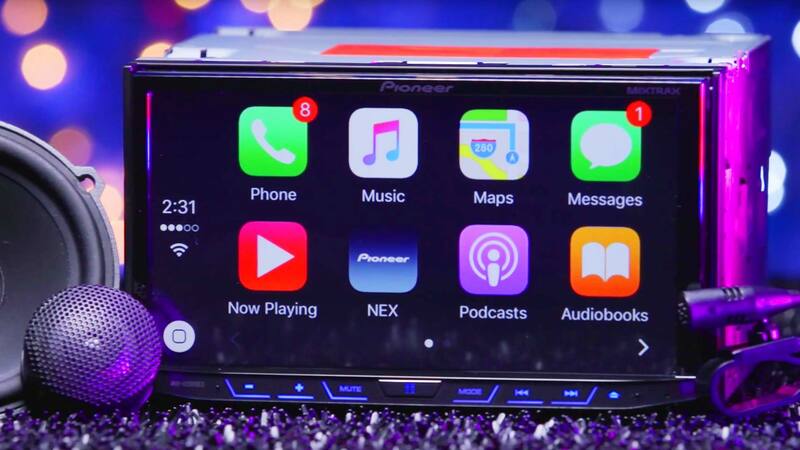 Be sure to check out all the latest car audio and car video gear at http://www.qualitymobilevideo.com Don’t forget to subscribe to out youtube channel. We have included a series of 0db test tones so that you can test and set your equipment. You can set up the system yourself using the steps I showed you here.